Cleaning Drains is Important, Too! Tis the season for spring cleaning! As you do the usual spring cleanings such as getting rid of old clothes, mopping your floors and scrubbing down your bathtub, don’t forget cleaning drains, too! At Hubb Plumbing we’ve picked up some extra tips along the way that are easy, effective, and can be done with products you probably already have in your kitchen! Here are a few DIY drain cleaning solutions you’ll want to try out. Sometime when our drain is clogged it can create quite an unpleasant odor. 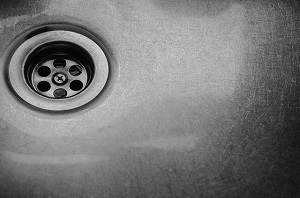 This can come from too much food being dumped into the disposal, which begins to mold from all the water the old food is soaking up, or from a grease build up in your drains. Not only is baking soda a cleaning staple it is also an excellent deodorizer and can keep your drains smelling fresh. Mix a cup of lemon juice together with baking soda and let the mixture foam up. Run hot water down your sink, along with the mixture, to freshen things up. Most of your drain clogs are due to grease building up on the walls of your drains. By dumping hot, boiling water down your drain, you may be able to get some of this hardened grease to flush out of your system. Be sure to be extra careful when dealing with boiling water! Once again, baking soda is essential for cleaning. Mix it together with a cup of apple cider vinegar (white vinegar works too) and wait for it to foam. Run plenty of hot water down the drain afterwards. This acidic compounds in apple cider vinegar combined with baking soda make for a great DIY drain cleaning solution. 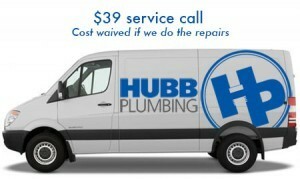 At Hubb plumbing, we know that DIY solutions do not always work. If you have a serious drain clog, or you are experiencing any problems with your home plumbing or garbage disposal, do not hesitate to reach out to our trained technicians. We are here to help you keep things running smoothly all year round. Take a look at why you should consider our top notch services if you live in the Snellville, Loganville, or Lawrenceville.